Think of great movies and there’s often an equally great car or three associated with them. There’s Eleanor, the 1967 Shelby Mustang from Gone In 60 Seconds (the remake as opposed to the 1973 Mustang Mach 1 from the original); the 1981 DeLorean from Back To The Future; the 1977 AMC Pacer from Wayne’s World; the 1961 Ferrari 250 GT Spyder from Ferris Bueller’s Day Off; the 1958 Plymouth Fury from Christine; the 1966 Thunderbird from Thelma and Louise; the 1949 Buick Roadmaster Convertible from Rain Man; and the 1968 Mini Cooper S from The Italian Job (the original rather than the supremely why-bother remake). Even something as pedestrian as a 1979 Porsche 928 (in real life, the Porsche you have when you really want a Volvo) added a little extra something to Risky Business. 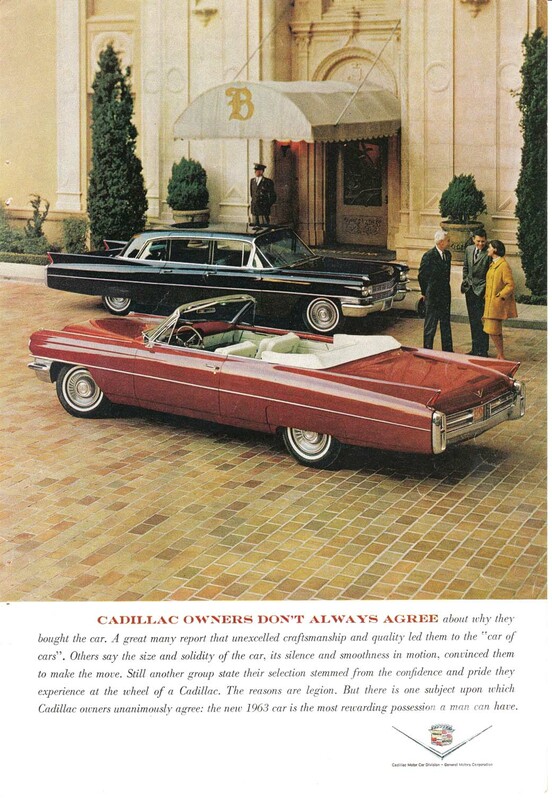 As the owner of a 1963 Cadillac, I have one notable association with Hollywood and that’s Tony Montana’s tiger-print upholstered convertible from the chain-saw-and-shower-curtain epic, Scarface. Although not one of my favourite Brian DePalma films (deferring instead to Phantom Of The Paradise and even the cinematic train wreck that is Bonfire Of The Vanities), Scarface would be so much less satisfying a homage to Titus Andronicus without Tony’s preferred choice of wheels. Classic car owners can be a bewildering breed. What makes them eschew modern cars with their cup holders and ABS and extruded plastic aerodynamics is a matter best left for psychologists and their ilk. But there’s an immense pleasure in driving something different and rare, something out of the ordinary. I can trace my car back to its first owner, Frederic Apcar, producer of expensive and elaborate Las Vegas extravaganzas at The Dunes casino. 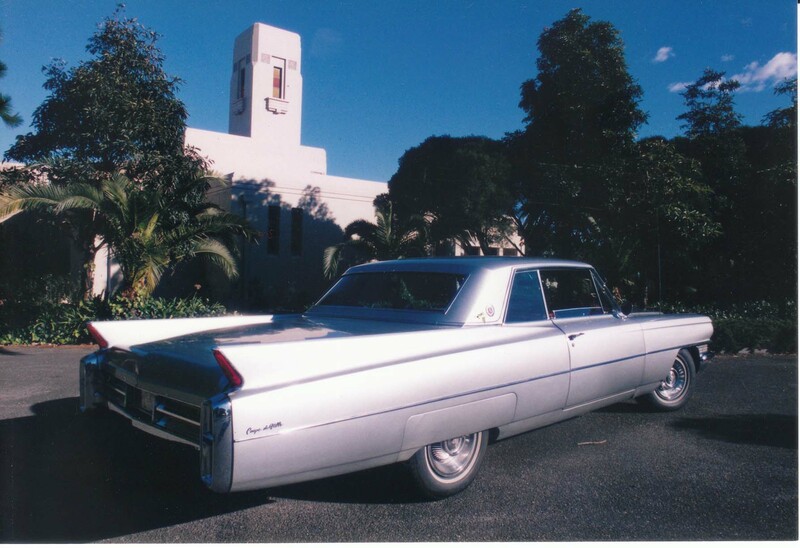 According to the original papers I hold, he took possession of the Cadillac, painted in Silver Mink with optional extras of bucket seats and red leather upholstery, in May 1963. It came to Australia in 1965 and was converted to right-hand drive by Bill Buckle Motors in Brookvale, Sydney. From there, it passed through three owners before I finally took possession. I hadn’t been shopping for a Cadillac; my previous car was a 1968 Ford Galaxie and I had my heart set on a 1959 Thunderbird but it proved an elusive prize. When I found the Cadillac, an everyday driver from an owner who had two other Cadillacs including an amazing 1957 Eldorado Brougham, I knew I’d found my car. My Cadillac is 5.7 metres long and weighs around two tonnes. It has power steering, electric windows, a back seat as big as a three-seater sofa, four ashtrays plus lighters, and a trunk larger than most granny flats. It has never disappointed, despite the occasional and understandable difficulties associated with age and relative rarity. Parts are reasonably easy to locate and not too expensive. A trustworthy mechanic, however, is a necessity, one who understands classic cars and has a feel for their foibles. A classic mid-century American car is a whale on wheels, a ponderous giant, powerful and strong. The sheet steel body panels broach no argument. I was once side-swiped by a taxi, which suffered severe panel damage. My Cadillac emerged with a length of crushed chrome trim along the front guard and a small section of scraped paint. With the muted but throaty rumble of the eight-cylinder engine, I’m aware I’m not driving anything as common as a car. It’s a panoply of automotive history and demands respect in the way it’s handled. It’s regarded with a charming reverence on the road, even from boy racers who recognise a fellow car enthusiast. Other drivers extend astounding courtesy, allowing you to merge easily (most likely because they’d rather have me in front of them than behind), fellow classic car drivers flash their lights and wave with the alacrity of members of an exclusive club. On the expressway, the Cadillac comes into its own, burbling along quite contentedly at 120 kilometres per hour with the distinct impression there’s plenty more available if the need arises. But, as Peter Parker understood, with great power comes great responsibility. Despite the 390 cubic inch engine (equivalent to about 6.4 litres), speed is not an option. 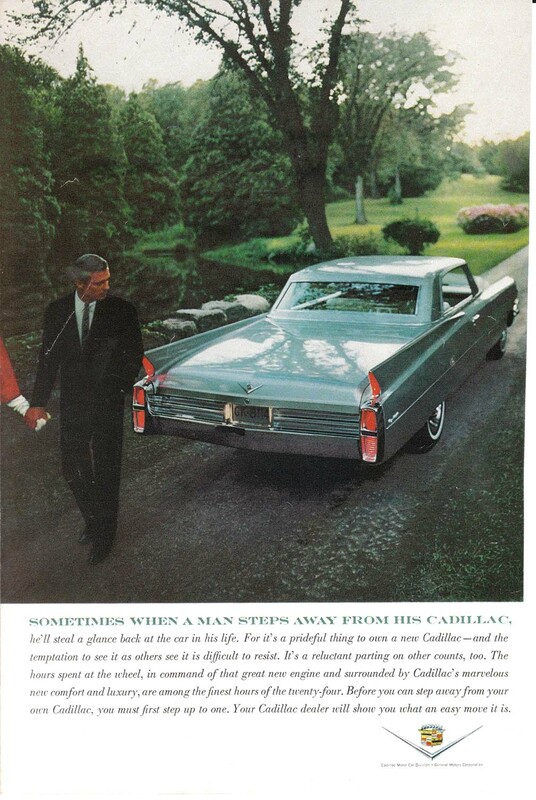 The 1963 Cadillac has drum brakes so while stopping in ideal conditions is not a problem, in the wet or on steep hills (or both) it can prove a challenge. The one other notable problem when driving a classic car is the choice of music. In my case, I don’t bother matching the vintage; 1963 wasn’t a great year in the charts, a time of middle-of-the-road schlock (and not in a good way) largely moribund between the winter of rock’n’roll and the rejuvenating spring of the British Invasion. On the open road, I’ll alternate between the Allman Brothers, Lynyrd Skynyrd and Mink DeVille and AC/DC, Alice Cooper and Cream with a little Gram Parsons and Joe Walsh thrown in for colour. If I want to nail the decade during city driving, I’ll go for soul or rhythm and blues and such artists as Little Eva, Mary Wells, Solomon Burke, Aretha Franklin and Al Green. The best accessory for driving is an iPod wired into the car’s sound system. Make it a 160GB and you’ll have a choice of 25,000 songs. That way, you’ll be prepared for any mood that takes you. Mick Ronson, Mott The Hoople and Edgar Winter one minute, the Partridge Family, Maureen McGovern and Tina Charles the next. Yet, in the back of my mind, there’ll always be one question: what would Tony Montana prefer?